The Election Commission of Nepal on Thursday held a discussion with the political parties of Nepal over the elections for the President and the Vice President respectively. KATHMANDU: With the appointment of Communist Party of Nepal (Unified Marxist–Leninist) (CPN-UML) leader, K.P. Sharma Oli as the first Prime Minister of Federal Nepal, the procedure to elect the new President and the Vice President of Nepal has officially begun. “The meeting commenced on the chairmanship of Chief Election Commissioner Dr. Ayodi Prasad Yadav from the Election Commission and presented the schedule for the election of the President and Vice President to be held within mid of March. The politicos also have responded positively regarding the proposal,” the Election Commission of Nepal said in a statement. On Thursday, Oli was sworn in as Nepal's 41st Prime Minister and the first Prime Minister after Nepal adopted a federal system of government in the new constitution in 2015. The Election Commission of Nepal has proposed March 5 and March 17 as the dates for elections for the President and the Vice President of Nepal respectively. As per the bill passed by the Nepal Parliament on October 19 last year, the elections will be held within one month of the formal commencement of the parliamentary meeting. The bill has granted the right to hold the election of the state head, along with the mandatory provision to hold the elections before one month of the expiry of the tenure of the sitting President or Vice President of Nepal. It will also announce the date for electing the new President and Vice President if the post is vacant within a month. Thereafter, the Election Commission of Nepal needs to inform the Nepalese government about it. However, this will be applicable for the country’s fourth President and Vice President respectively. 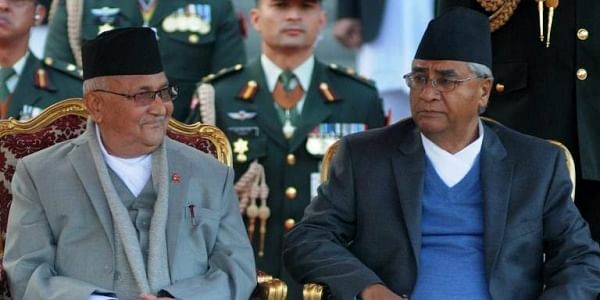 Nepal, which became a republic in 2008, has got two presidents, Dr. Ram Baran Yadav as the first president of Nepal, and Bidhya Devi Bhandari as its second president. President Bhandari was also the first female President of Nepal. As per the new bill, a total of 884 voters, 275 members from the House of Representatives, 59 from the National Assembly and 550 members from the provincial council will vote to elect the new state and deputy state heads. The bill has allowed anyone from the parliament or any state assemblies of Nepal to stand in fray for the post of President or Vice President. It has also erased the earlier provision of security deposit of 1,75,000 Nepalese rupees for the candidates of President and Vice President. The candidate can file the nomination for free of cost but will need around five supporters and five proposers. As per the bill, the age limitation of a person, who is not less than 45 years and is a naturalized Nepali citizen can stand for the elections. Also, it has prohibited the people who are accused and jailed for more than 20 years in corruption, human trafficking, property purification, drug trafficking and foreclosure charges to stand for the post. However, people who have been indulged in organised crimes and other similar cases can contest for the post after six years of their release, if they have completed the prison sentence in less than 20 years. The blacklisted ones also can contest the election after getting their names removed from the list. But the simultaneous elections for the President and Vice President of Nepal are not possible as the bill has the compulsory provision of having the candidate of different sects and genders to contest for the post of President and Vice President respectively. The bill does not allow the same gender or same ethnic community to stand for the post of state head. The electoral process of electing the new Vice President of Nepal will start after the results of the Nepalese presidential elections has been announced.